Good morning everyone! I think I may have found the secret to the most flawless face! These 2 products have been on my list to try, and I now see why so many people rave about both of them! 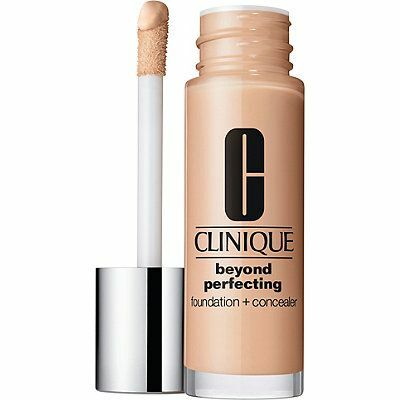 First up, the Clinique beyond perfecting foundation. This foundation is AMAZING! It's $28, which I don't think is too bad for a truly FULL coverage foundation. A little bit goes a long way, so I have a feeling this bottle will last me for a while. I've honestly been on the hunt for a truly full coverage foundation at a decent price point for years! Most that claim to be full coverage don't do the job, and I'm left feeling like I need more. Clinique got it right with this one. If you want a flawless face for the upcoming holidays, get this stuff!! Side note: I applied this with the wand it comes with, and then blended it in with a foundation brush. Next, the highly anticipated shape tape by Tarte. I have to say, this equally impressed me! This concealer is $27, so I was a little hesitant to spend the money, but it is a HUGE tube and again, a little bit goes a long way. Dab a little under your eyes, and use a damp beauty blender to really get a flawless look. I like a really light look under my eyes, so I went for the color 'fair neutral.' If you're looking for a good concealer, (especially all of you tired moms out there!) this is totally worth the splurge!!! !